What Drift Triggers and Actions are Supported? New Conversation - Triggers when a conversation is started. New Message - Triggers each time a new message in a conversation is received. 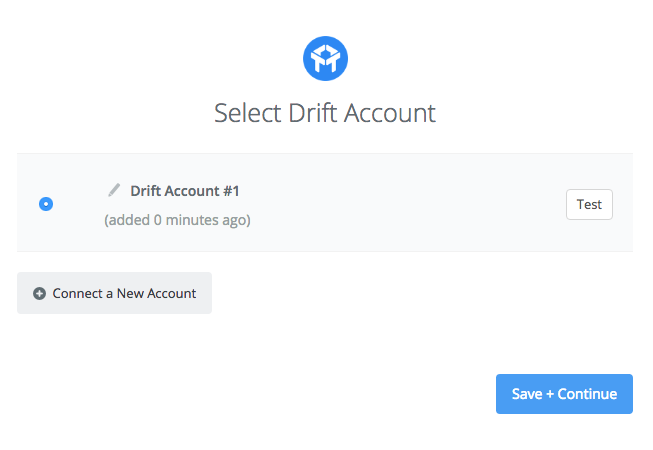 New Contact - Triggers when a new contact is created through drift.identify. Unless specified by the Drift team, use the "new lead" trigger. Conversation Closed - Triggers when a conversation is closed. User Reached Goal With Lead Stage - Triggers when a User reaches a Goal with a specific Lead Stage. New Lead - Triggers when an email address is collected from a lead. User Reached Goal - Triggers when a User has hit a goal within a playbook. Create or Update Contact From External - Creates or updates a contact. Log Event for Contact - Logs an event for a contact. Update Known Contact - Updates an existing contact. 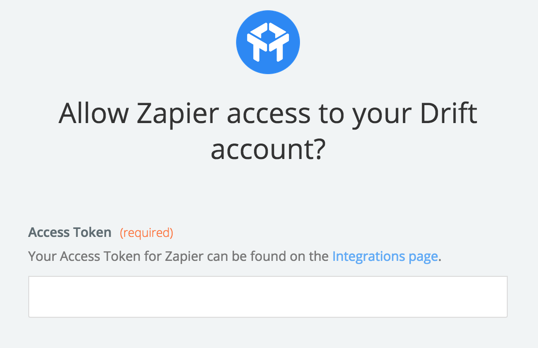 To get started with Drift on Zapier, first you will need to click to connect your Drift account to use with your Zap. Step 3 - You’ll find your Access Token in a field on that page. Paste your key back into your Zapier account and then “Continue”. 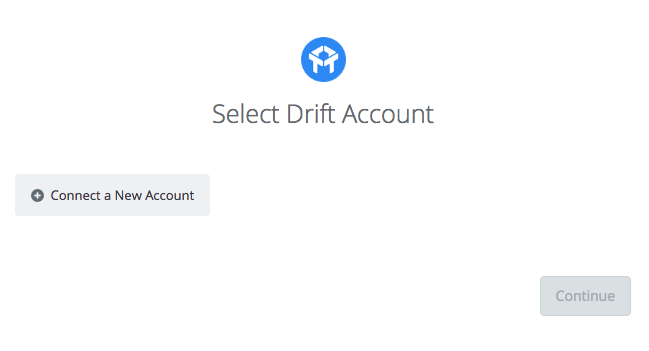 If your access token was entered correctly your Drift account will now be successfully connected. This event may not always return an email field, which is often required by actions. You can get around this by following these instructions on filtering for existing/nonexisting fields. Similarly, this event may only return an email and creation date, and not a name. If your Actions require a name, please follow the same instructions. When an anonymous user lands on your site, they're captured as a visitor. Once that visitor initiates a conversation through Drift, their status is updated to a lead without an email. They are then prompted to provide an email during the conversation, which they may or may not provide. Once they provide an email address, their status is upgraded as a contact on Drift. Conversations do not close automatically. It's up to the agent to manually close a conversation.